Are you looking for an excellent new look to your kitchen but lack an adequate budget to completely rebuild it? Do you also want to save time and be friendly to the environment as well? 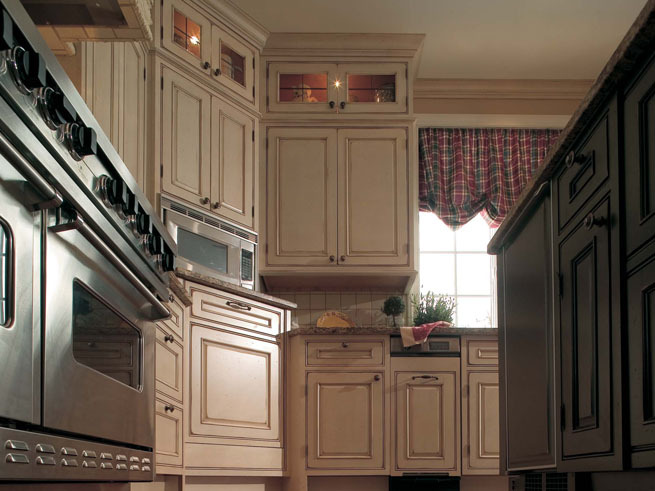 Cabinet refacing is a great way to save time, money and be helpful to the environment in the process. By refinishing and refacing older cabinets you can bring in a whole new look into your home and avoid the costs involved in completely replacing your older cabinets. It is much less expensive to strip away the older coats of paint or urethane and renew the cabinets with updated color choices. We can replace the doors of your existing, older cabinets and install custom made doors which bring the style of your home up to date. 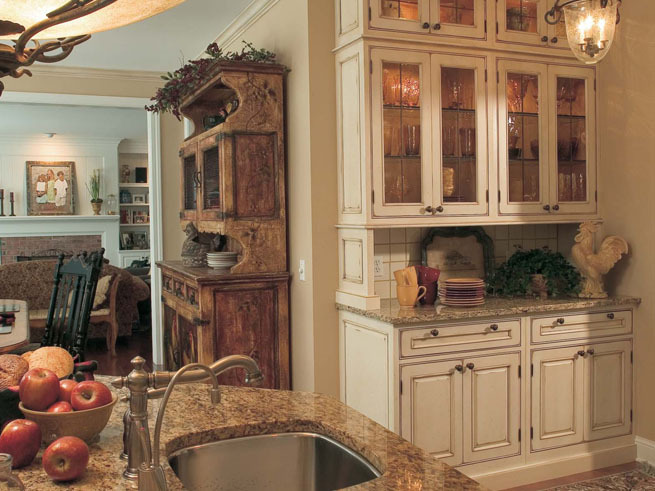 It is harder to pick style choices which stand the test of time so why not reduce the cost of bringing new style into your home by having your cabinets refaced and refinished rather than completely replaced? If you are worried about picking the right colors which will garner your home a better return on investment on its resale than currently white cabinet colors with darker granite countertop colors are in with home buyers. This coupled with stainless steel appliances will be a sure way to attract home buyers. Will this remain to be the case in ten years time no one can say. But there is definitely something timeless about the use of contrast between lighter design elements and darker design elements which will always by their nature retain their appeal with home buyers and home owners. Attractive color choices such as taupe walls, white cabinets and darker countertops visually soothe and pop at the same time. One could say that in kitchen design you are trying to create a space which is a peaceful retreat and a comforting place to reenergize the body and mind. Colors do have an impact on psychology and that is why certain color trends are so universal among buyers of homes and owners of homes. Don't we all want to feel our kitchens are a place of refuge from the stresses of the world? It would be no exaggeration to state that the kitchen is the center of a home. And by being the center of the home there is no better place to invest in improving it than the kitchen! Time tested real estate studies show that kitchens traditionally do offer the greatest return on investment for every dollar you spend on a custom remodel. For your own sake and for the sake of the home buyer which you will want to impress upon in the future it really pays to have an attractively designed kitchen. But the design of your kitchen is crucial. Frankly speaking, it's important pick the right elements which are visually appealing. No matter how much you spend on fixtures and wood grains if you pick colors which clash visually you could be ruining your home's actual resale value. When older wood cabinets are discarded they are generally thrown into landfills and the value of the wood material is not preserved. It is a wasteful practice to tear out older cabinets and place in newer ones. The cabinet doors themselves may beg to be replaced but do you really have to discard the entire wood frame structure which holds the doors in place as well? Oftentimes the answer is no but newer cabinets from factories are often a package deal where the wood frame is included with the doors. Our company can custom build new cabinet doors for your kitchen and bring an attractive, stylized look to your existing kitchen which is entirely different from your current kitchen design without sacrificing the wood frames which hold your cabinet doors in place.